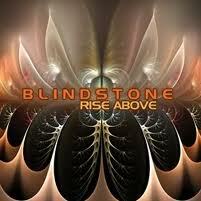 The Danish band Blindstone are back with yet another powerful record of 70's blues and hard rock with lots of guitar solos! This is a killer record. It starts off with the title track and features none other than Ty Tabor from Kings X on lead guitar! This is a super cool track with some great guitar work. Power Man, a political track about financial managers, etc. Some great soloing and your first taste of Martin's style. Keep The Rock Alive is more of an 80's style rock track in some ways. Something Y&T might have played. Climbing Up The Ladder, an old Isley Brothers number that is performed well. A bit funky and a some killer jamming. New Directions slows things down before the power riff kicks in and some nice wah solos. Horizontal Activity is another track that reminds me more of 80's rock, especially with it's lyrical content! Sonic Motor King has an almost stoner rock riff and reminds me of Montrose! Wiser has yet another pretty killer riff and a new pedal sound kicks in for the opening solo. A more laid back vocal on this track as well but some ripping guitar. The band now takes on House Burning Down by Hendrix. Beyond the Purple Sky is a totally killer blues track that ends the official CD. After a minute of silence or so the band kicks into an instrumental version of Frank Marino's He's Calling from the Eye of the Storm CD. This is a true guitar monster track and it takes some balls to take this on as a cover song. Great album. I can't wait to see these guys live. If you are a fan of Frank Marino, Robin Trower, Randy Hansen, Montrose, and heavy blues rock, check out this great band.